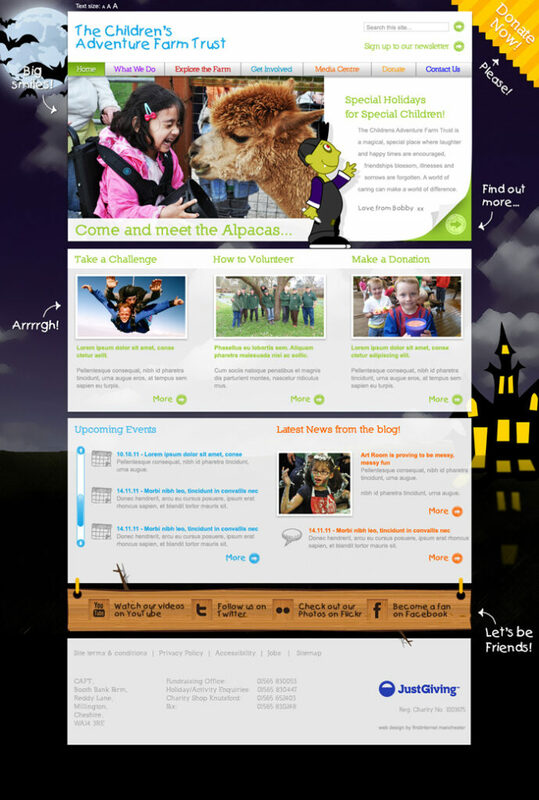 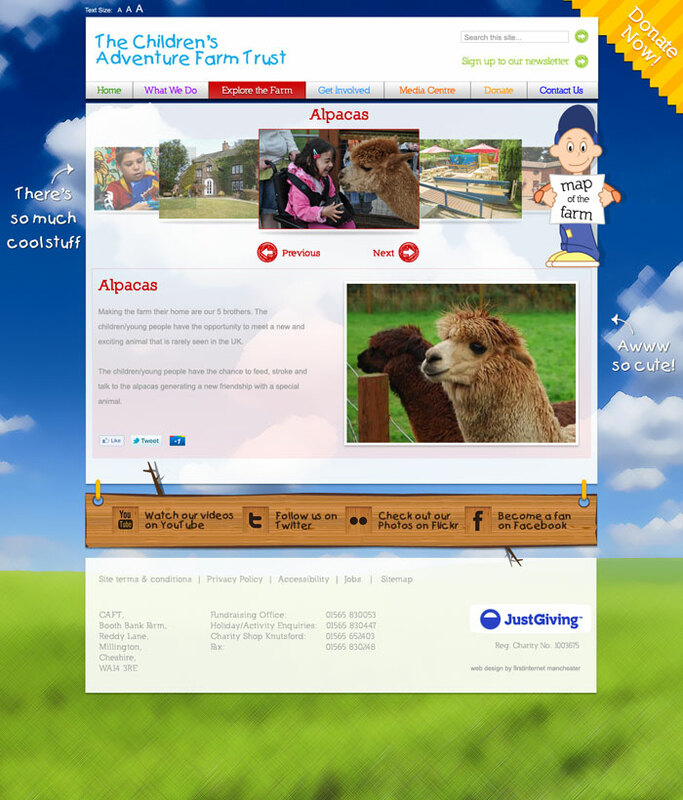 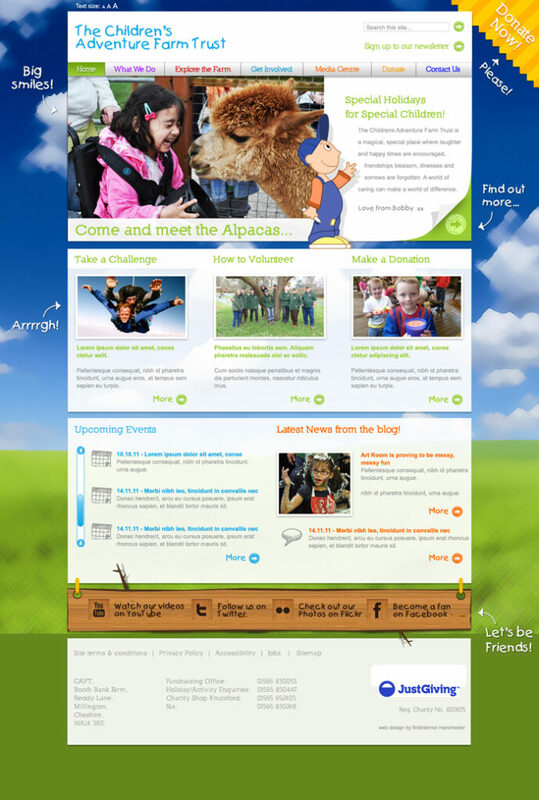 The Children’s Adventure Farm Trust had been a client of First Internet’s for quite a while, and their website needed a revamp. 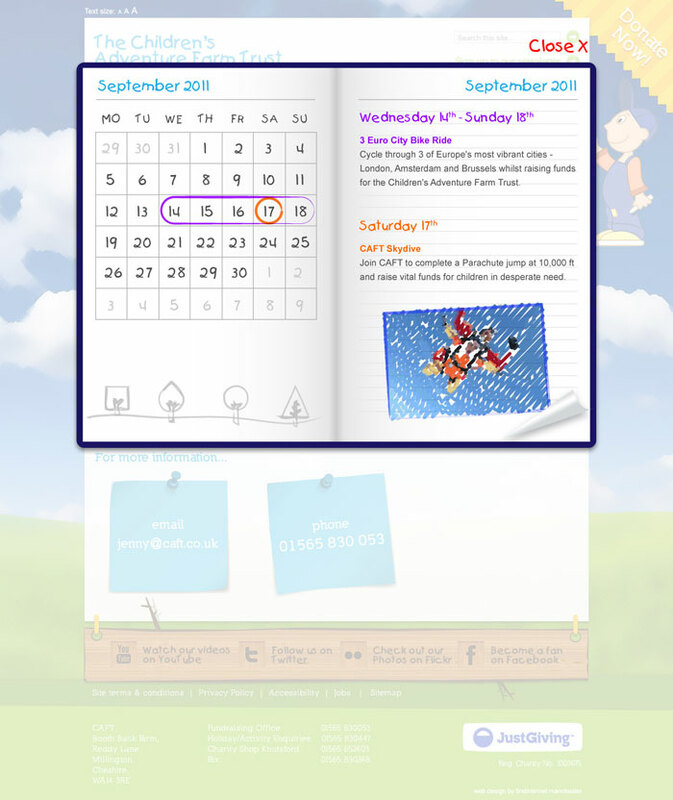 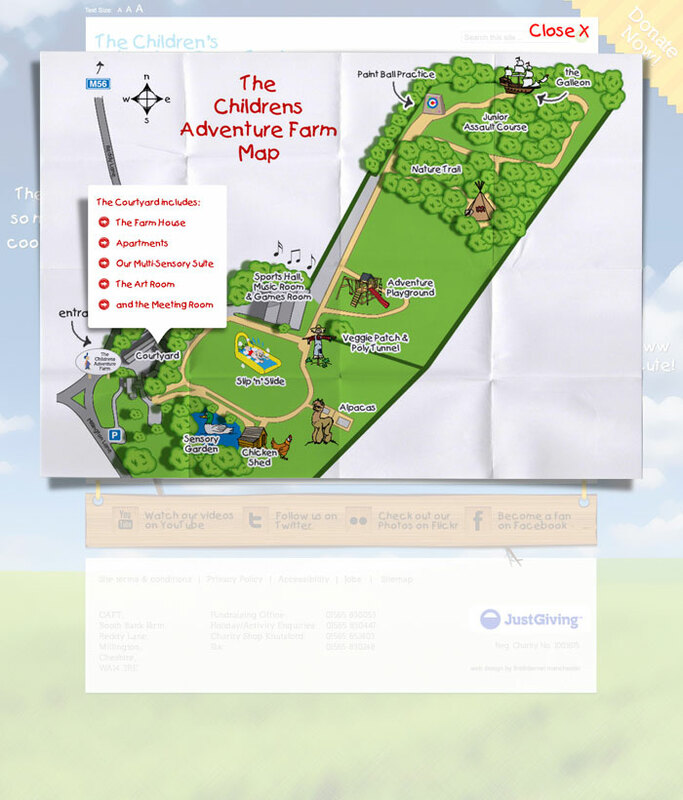 Since they’re such a great charity we didn’t hold back on the creativity and cool features, such as; the flying Twitter bird, the interactive map of the farm and the page turning events diary. 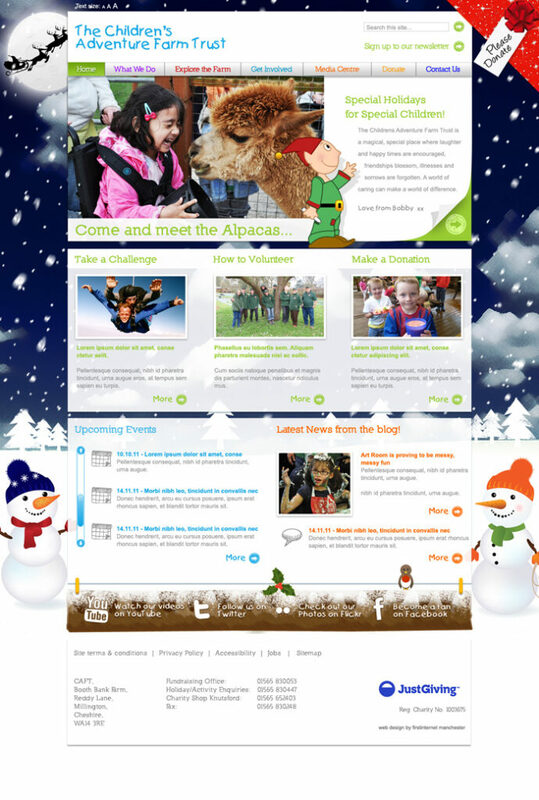 I also created seasonal re-skins for the website, including Christmas, Halloween and Bonfire Night.